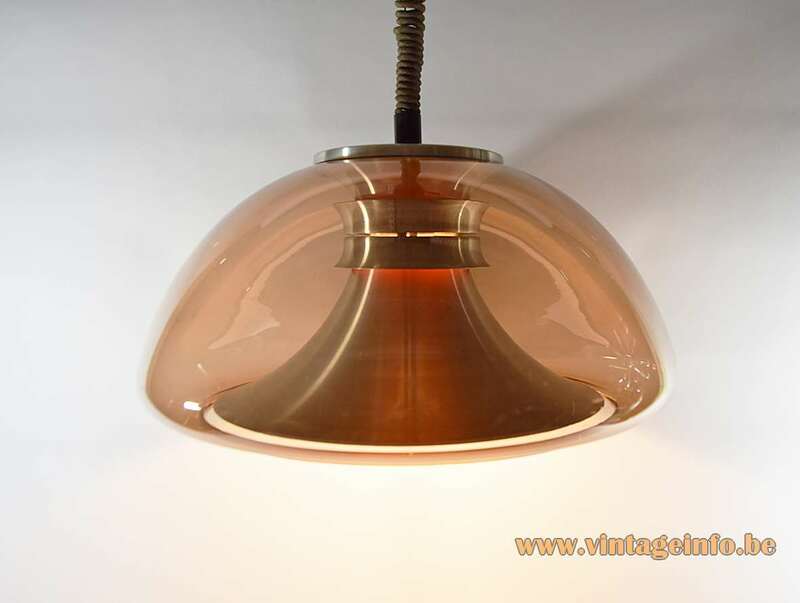 Materials: Translucent acrylic lampshade in smoked brown. Orange painted aluminium. White painted aluminium. Rolly rise & fall mechanism. 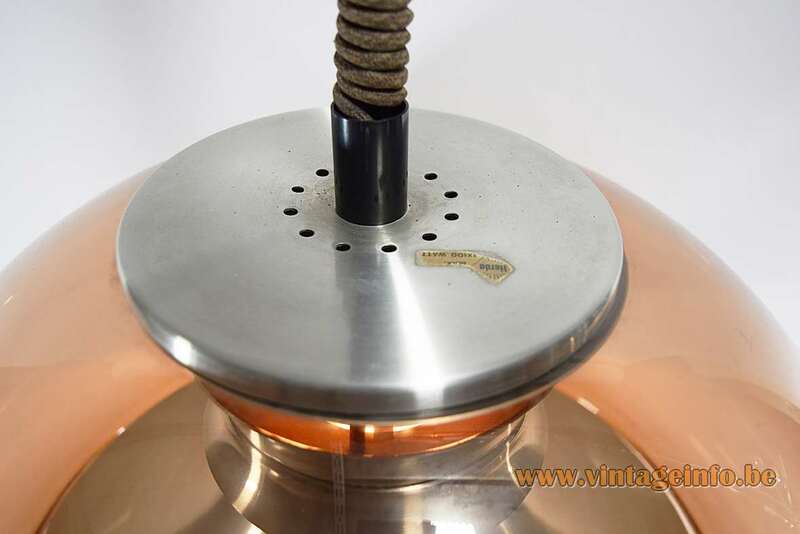 Cord: This one has an adjustable rise & fall mechanism (40 – 140 cm / 15.74 – 55.11”). 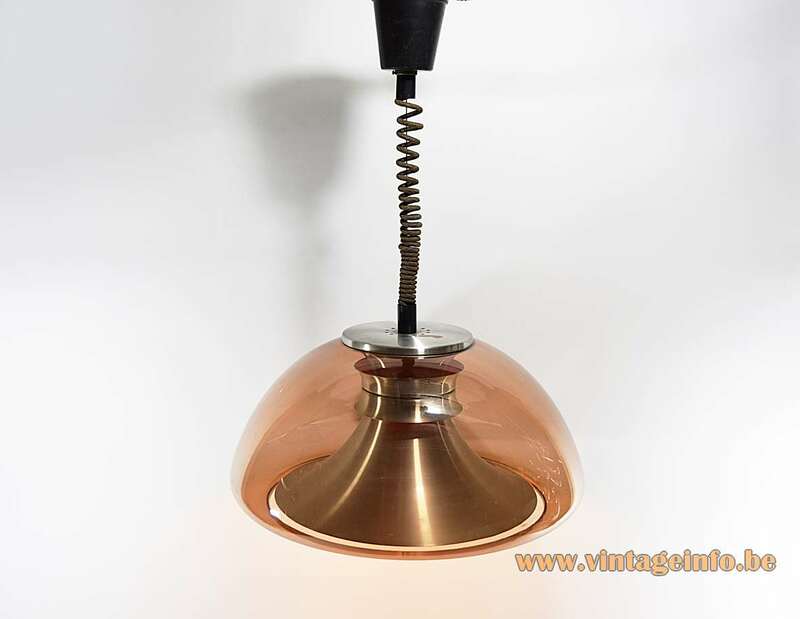 It can be easily adjusted in height by grabbing the lamp with both hands, and pulling it gently. 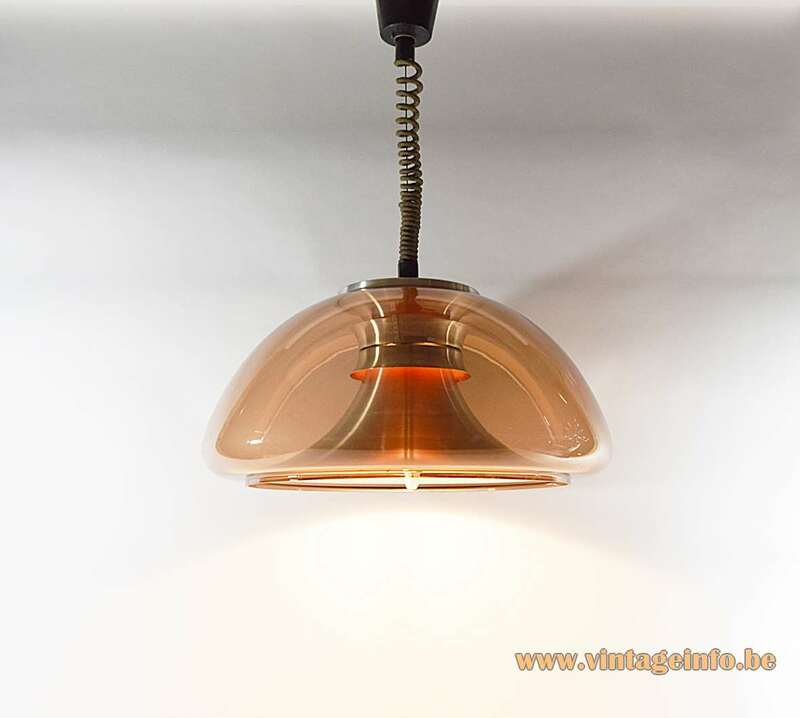 The aluminium inside of this pendant lamp is made in the style of the pendant lamps designed by Carl Thore, the Swedish designer. 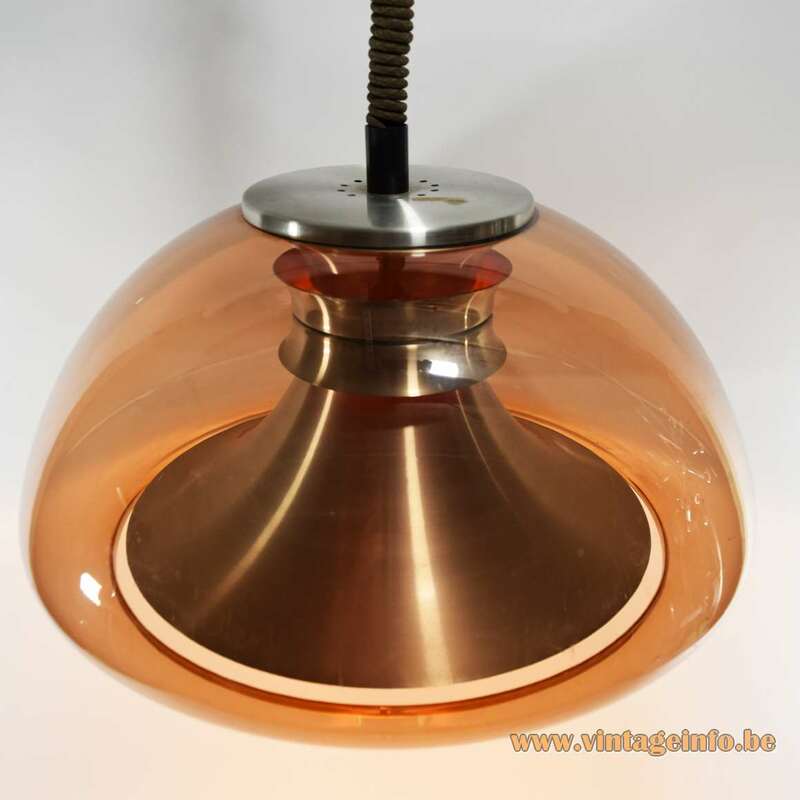 These pendant lamps by Herda are often confused with the pendant lamps sold by another Dutch company, Lakro. 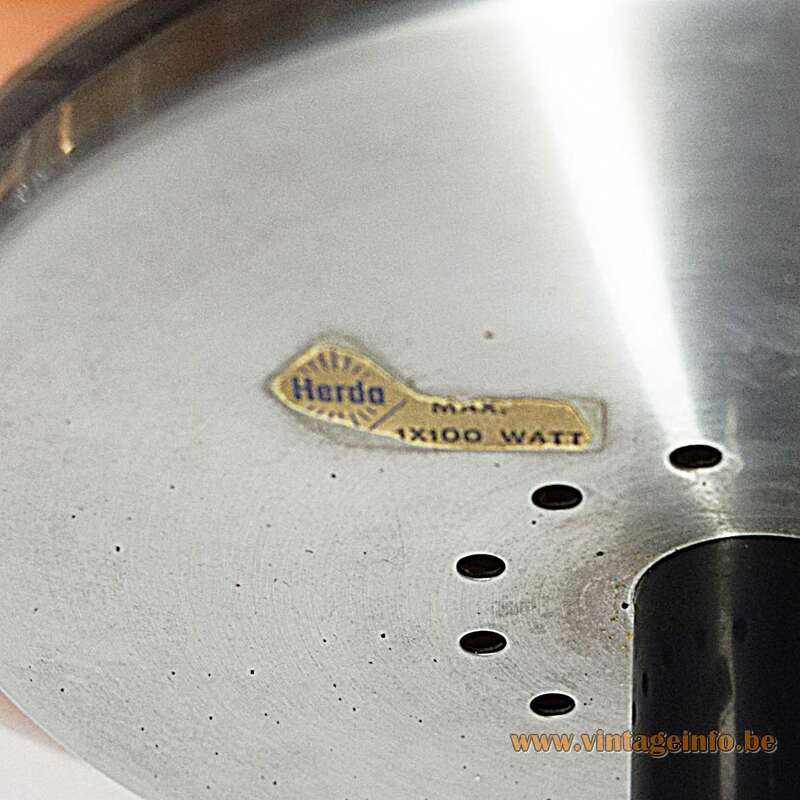 Lakro sold many comparable lamps. 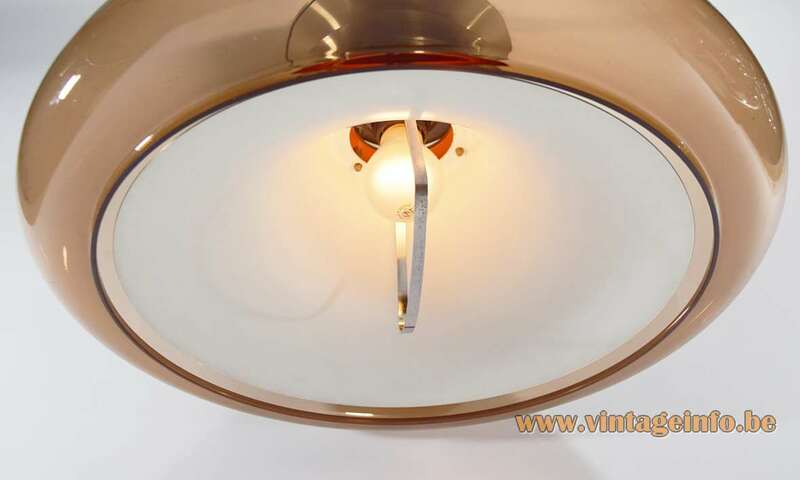 Herda had some top designers employed, including Willem van Oyen Sr. who is famous for his lamps he designed for the Raak Amsterdam company, also from The Netherlands, off course. The date on the Rolly rise and fall mechanism says: 1976. 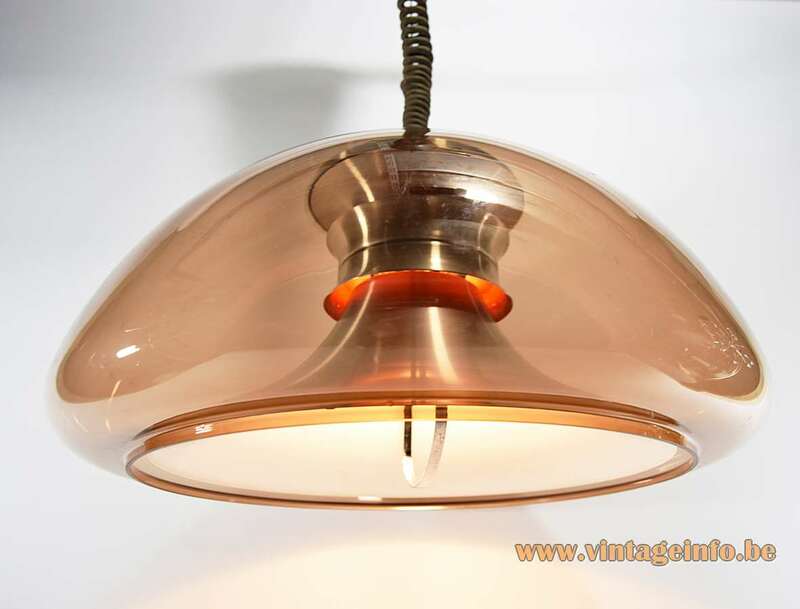 Rolly was an Italian company that produced rise & fall mechanisms for many lamp producers around the world in the 1960s, 1970s and 1980s. The company no longer exists.